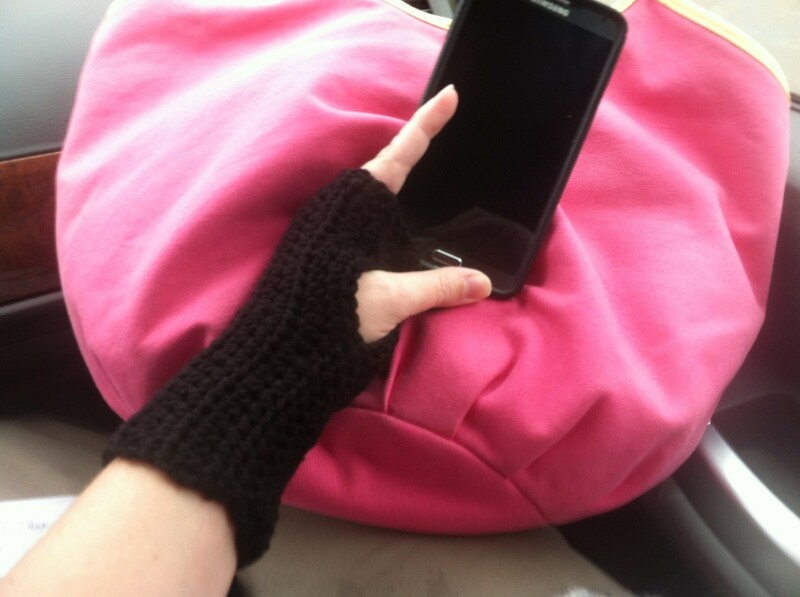 With yarn, an H crochet hook and a little extra time you can make these fingerless gloves that leave your fingers exposed for using your phone or other tasks. This is a guide about super easy fingerless gloves. Quick, easy and fun to make! 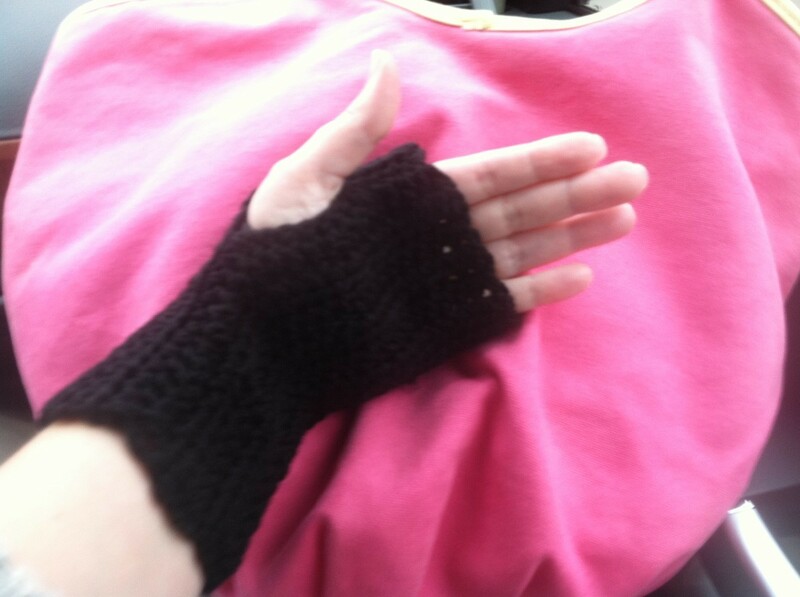 :) I made these in the car on our way to go camping. 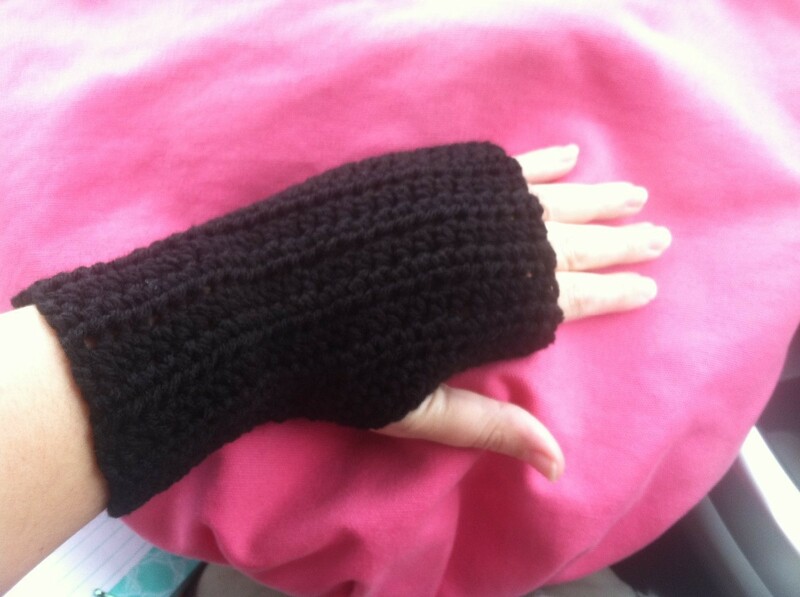 I wanted something to keep my hands warm, but still allow me to easily cook and roast marshmallows, etc. Unless I'm going sledding with the kids, I like the freedom these give you to dial a phone number, text, anything. These are also extremely inexpensive to make and would make great gifts. Enjoy! With #4 worsted weight and and "h" hook, chain 26. 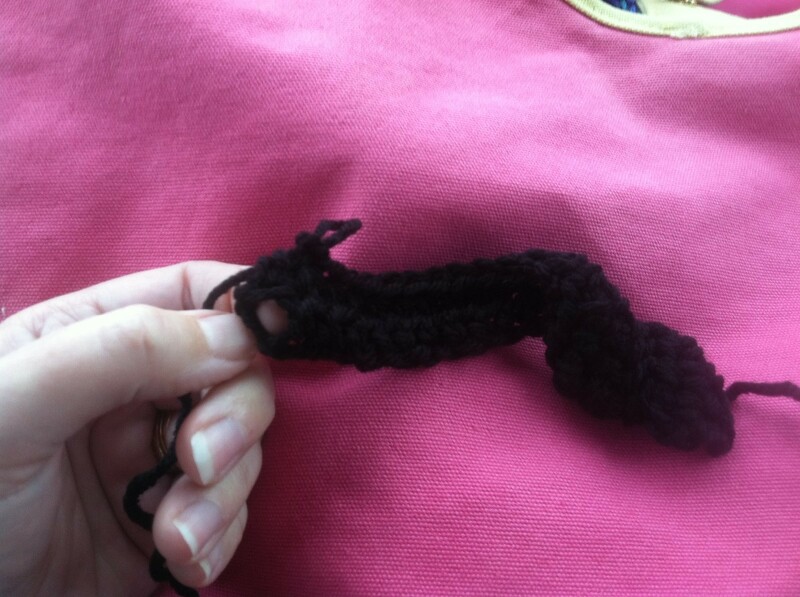 Half double crochet in 3rd chain from hook and each chain till end of row. Chain 2, turn. 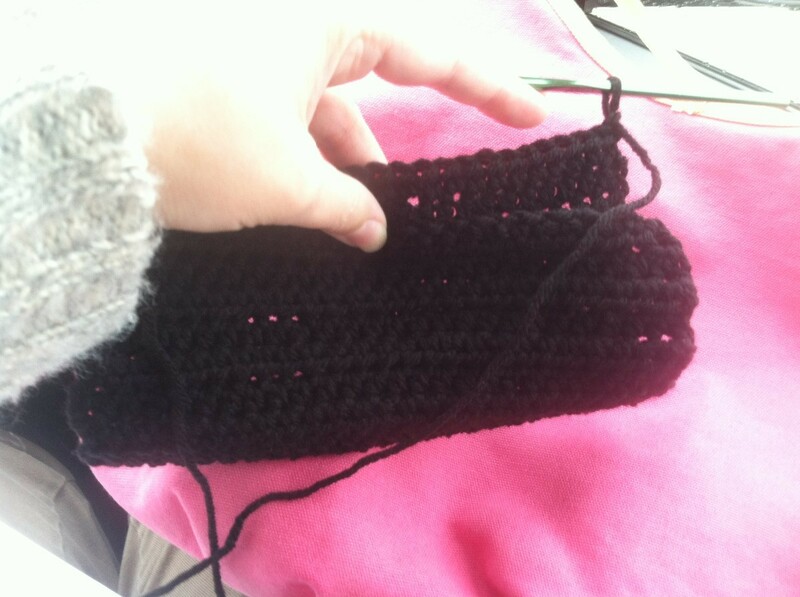 Half double crochet in the same space as chain 2. This minimizes the gap at the end of the rows. 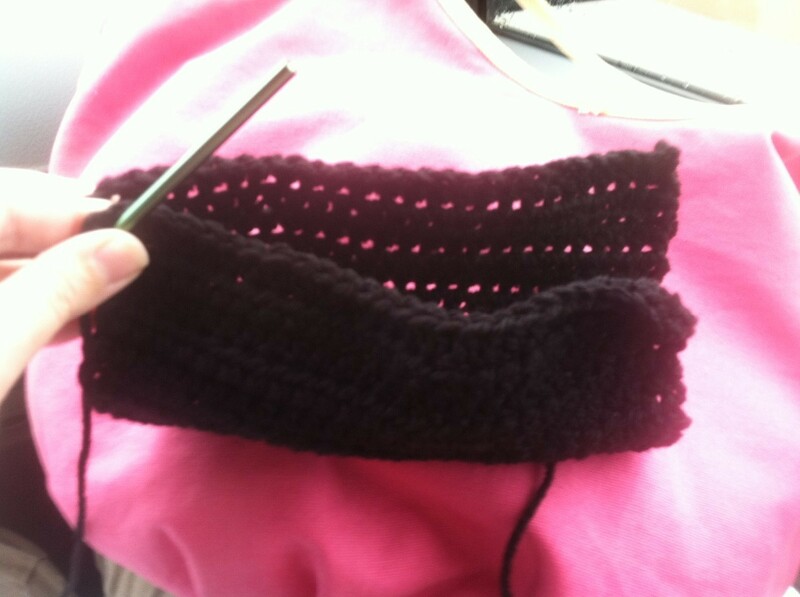 Continue by making a half double crochet in each stitch until you reach the end. 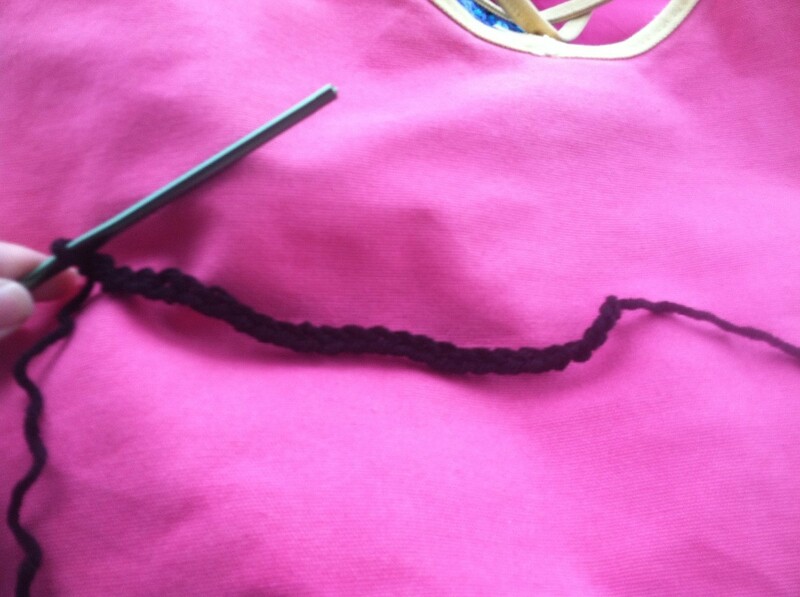 Please do not forget to make your last stitch in the space between the chain and stitch from previous row, see? Chain 2, turn. 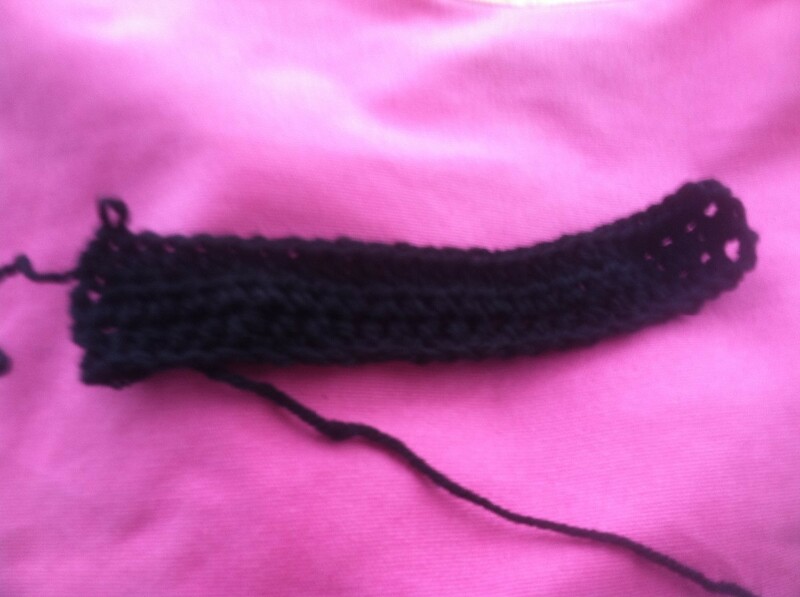 half double crochet in same stitch as chain 2 and each stitch till end. Leave the chain 2 at the end of the row unworked. You are already making an extra hdc in each starting chain, this is why. At this point, you have 3 rows done. Ch 2, turn. 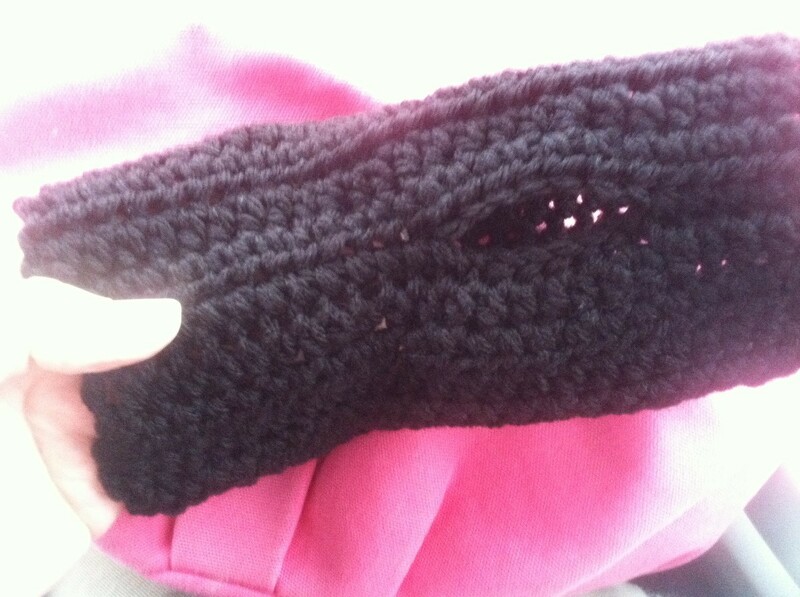 Hdc in same sp as ch 2, hdc in each stitch till end. Leave last ch 2 unworked. Repeat last row 14 times. This is what you should have. Please keep in mind, if your hands are narrower than mine, or these are intended for a "tween" with smaller hands, you may not need to work as many rows. You can VERY easily make these narrower by leaving out a row or 2. This will not affect how you work the rest of the pattern. Rotate your piece still folded to the left. Now you are all set to create your seam! 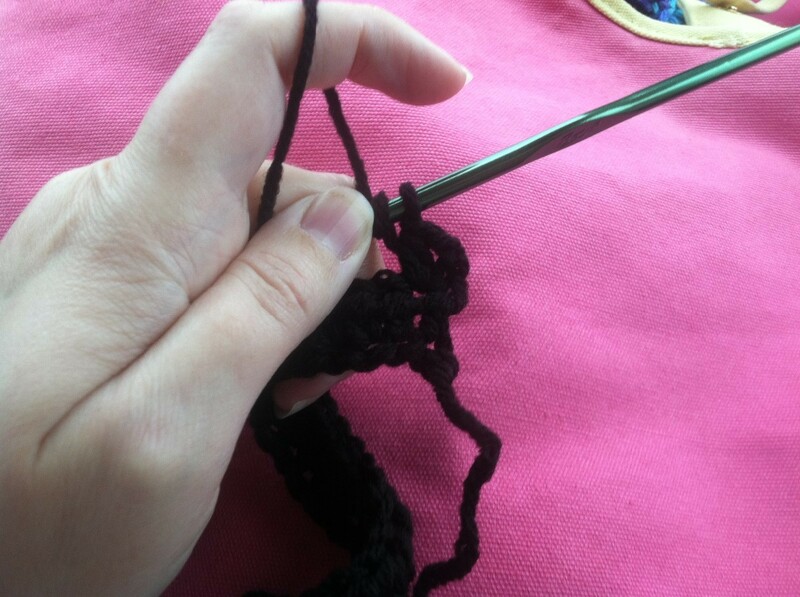 Make 13 single crochet through BOTH layers. 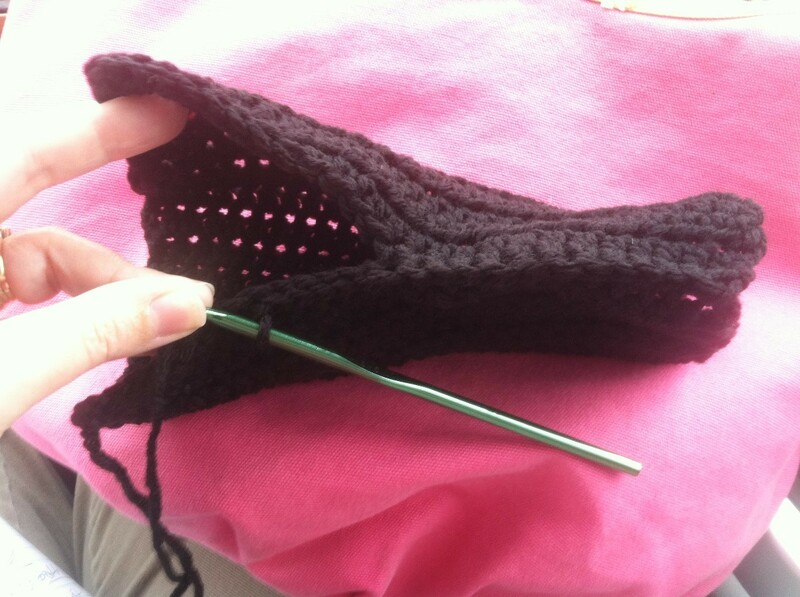 Now slip stitch 6 times through ONLY the layer closest to you. This is creating your thumb hole. 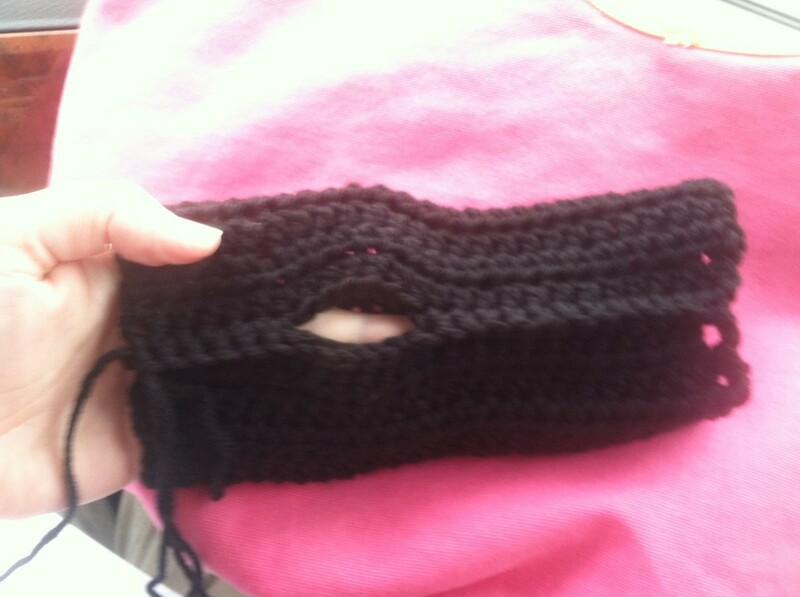 Now that your thumb hole is made, please put BOTH layers together again and single crochet through the last 6 stitches. You have now made your seam. Leave a tail long enough to weave in and cut. Go ahead and weave your ends in before turning right side out. See, you can't even see the seam! I made mine with Red Heart Super Saver in black. Super saver is awesome! It's dirt cheap and durable. 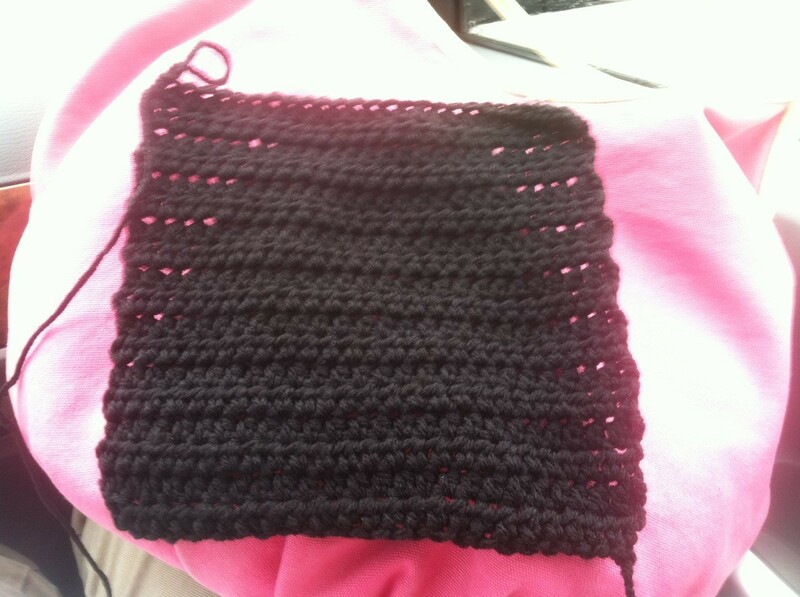 :) Any worsted will do though....*Gauge is about 7 hdc in 2". 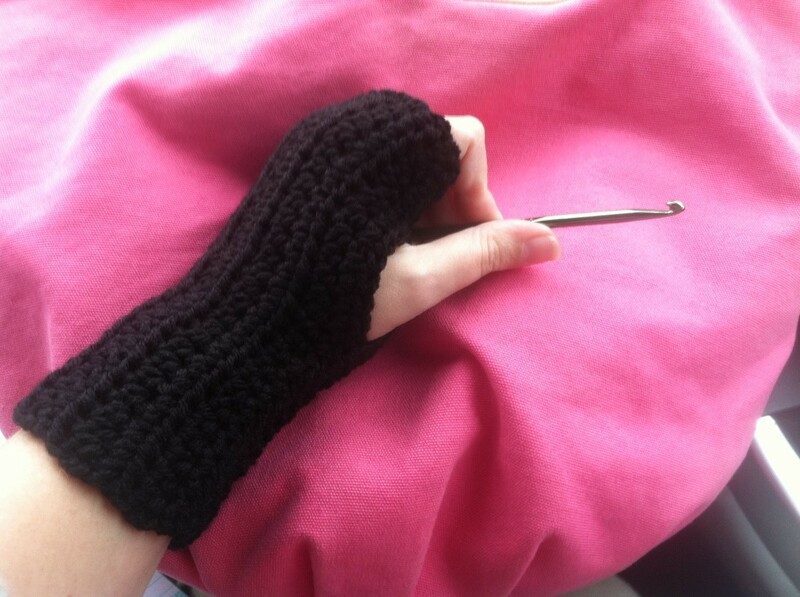 This step by step video shows you how to make simple fingerless gloves. Simple to make and cute to boot!